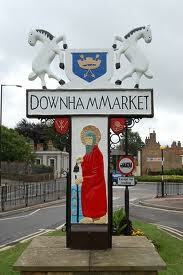 Downham Market Family History Society is a non-profit organisation set up to promote interest in family history. We are a small independant group and everyone is welcome. Our meetings are an informal, social occasion where you can come for a coffee and a chat and get help and advice on tracing your family history. We also have occasional guest speakers and hold coffee mornings and other fund raising events. Please take a look at the News & Events page to see what we've got planned. We look forward to welcoming you to a meeting soon.